Microsoft killed off Internet Explorer four years ago when they introduced Microsoft Edge with Windows 10 and now, the company is giving good reason to stop using the old browser. 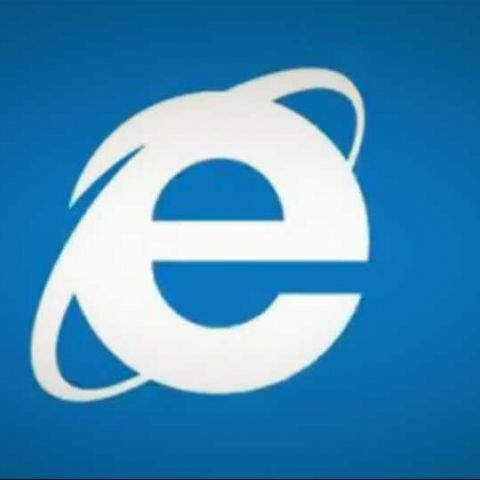 Microsoft Windows cybersecurity expert asks users to stop using Internet Explorer. Microsoft ended support for Internet Explorer four years ago. Microsoft rebuilding Edge on Chromium. It has been nearly four years since Microsoft killed off its Internet Explorer browser, having turned to Microsoft Edge instead. While most users are already using one of the many popular browsers such as Google Chrome, Firefox or even Edge, corporate machines are still stuck on the legacy browser. Chris Jackson, a cybersecurity expert in Microsoft’s Windows division has commented on the need for people to stop using Internet Explorer. One major reason for enterprises to continue using Internet Explorer is to be able to use older web apps that haven’t been updated to modern frameworks. Microsoft has tried to push enterprises to update their older web apps over the years, but IT admins have taken advantage of Internet Explorer’s various compatibility modes in order to avoid putting in the hard work. While Internet Explorer has been proving useful to working with older web apps, Jackson warns that this is not a good solution. Microsoft is no longer supporting the development and inclusion of new web standards for Internet Explorer, making it less than ideal for day-to-day use. Additionally, Jackson says that developers are no longer testing their products on Internet Explorer. While Internet Explorer was officially killed off by Microsoft, its new avatar, Microsoft Edge, which started shipping with Windows 10 four years ago hasn’t really won many favours with users either. The company has struggled to increase the new browser’s user base, with stiff competition from Google Chrome and Mozilla Firefox. Microsoft recently announced that it was going to rebuild Edge from the ground up to run on Chromium, the same open-source rendering engine that Google Chrome runs on. While there will be no noticeable change to the UI or UX of the browser (and neither is the name going away), what will be noticeable is the consistency with which web content will load on Edge across devices.